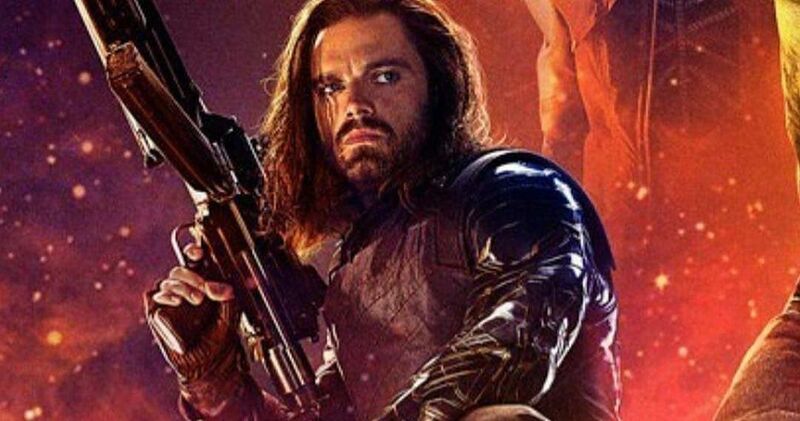 Sebastian Stan says that Bucky is dead. The Avengers: Endgame actor has said in the past that he hasn’t filmed anything for the movie in a very long time, leading many fans to question whether or not he is in the movie at all. However, a quick look at IMDb reveals that he is indeed in the highly anticipated project. But, how big of a part will he have? Is his part all a flashback? These are questions that we currently do not have the answers for and Stan wants to keep us off the right path. In a new interview with James Corden, Sebastian Stan and Cobie Smulders tried to avoid talking about Avengers: Endgame as much as possible. However, Corden was able to ask a few questions and flat out asked how the Decimated characters return. Smulders laughed uncomfortably and Stan simply says, “Bucky’s dead, happy New Year.” He went on to say that he had not filmed anything for the movie in a long time, which is something that he revealed not that long ago. Obviously, Sebastian Stan is having a bit of fun with Marvel Cinematic Universe fans. He’s probably also a really good poker player because nobody can really pin down if he’s making things up or not. It would be hard to see Avengers: Endgame without the Decimated characters returning, and we know that some of them, including Peter Parker and T’Challa have to come back to star in their respective sequels. With that being said, nobody outside of Marvel Studios knows exactly how everything is going to play out when the movie hits theaters in April. Related: Surprise Avengers: Endgame Characters Accidentally Revealed on IMDb? Cobie Smulders revealed that she hates having to talk about the MCU while being recorded for interviews and one can tell that she really means it. She went on to say that she loves starring in the movies and would like to continue to do so, which is why she keeps her mouth shut when asked about Spider-Man: Far From Home and Avengers: Endgame. When looking at the cast on IMDb, there is no mention of Smulders or Samuel L. Jackson, leading many to believe that Maria Hill and Nick Fury won’t be included in the movie. The duo were only seen at the very end of Infinity War and were Decimated. James Corden had a bit more fun by revealing his theory about Avengers: Endgame while also asking Cobie Smulders and Sebastian Stan who they hate the most out of the entire MCU cast. Smulders didn’t say anything, but Stan didn’t miss a beat and declares that its Tom Holland. Stan and Anthony Mackie enjoy publicly poking fun at the young Spider-Man star and they seem to do it pretty often. Even Don Cheadle threw some shade his way when he revealed that he won’t do press with him or Mark Ruffalo anymore. You can watch the Sebastian Stan and Cobie Smulders interview below, provided by The Late Show with James Corden’s YouTube channel.